Short Fuse Media severs ties with Alpha Dog Studios – INDIE VOLT! 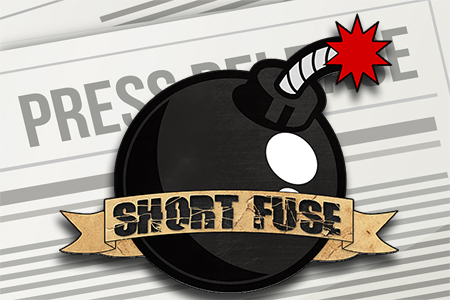 Late last night, around 9pm EST independent publishing company Short Fuse Media release a statement announcing they they were severing ties with Will Caligan and his Alpha Dog studios. Below is a copy of that statement. Short Fuse Media Group, LLC. was founded on the principles of uniting all PEOPLE and embracing diversity. In order to maintain those principles, the decision has been made from our senior staff to sever ties with Will Caligan and Alpha Dog Studios, effective immediately as a result of comments that were made by Will that were deemed to be offensive by members of the indie comic book community as well as the LGBT Community. Short Fuse Media Group, LLC. would like to formally apologize to the members of the indie comic book community, the LGBT Community and especially the current (and prior) members/talent of our roster who are also a part of the LGBT community for the length of time that it took to fully understand the scope of what had taken place and act on this accordingly as again, we support and respect all PEOPLE from ALL walks of life.